I'm a bit behind on this information from Twin Galaxies, but I wanted to provide a commentary to it as it's a foundational shake up in the history or High Scores in gaming. For those of you in the gaming space, the name Billy Mitchell should be well ingrained. Starting with impressive performances in many games, with Donkey Kong being perhaps the best known among them, Billy was a force to be reckoned with during the golden age of arcade gaming. It's with that history and impact that It's almost impossible to overstate how the news that not only his Donkey Kong scores, but all of his scores are being removed from the Twin Galaxies score charts. "After many months of researching, Twin Galaxies administration has determined the dispute made by Jeremy Young (@xelnia) to be accepted. Alongside this, all of Billy Mitchell's scores have been removed from Twin Galaxies leaderboards." Twin Galaxies became, and still is by many accounts, the arbitrator of competitive gaming scores, particularly in the arcades. Growing to it's height in the 1980s, Twin Galaxies also rose to a more generalized fame with the release of the 2007 documentary King of Kong: A Fistful of Quarters. Featuring Steve Wiebe pushing himself to supplant Mitchell among others, to reign as the Donkey Kong high score leader. Throughout the film, Mitchell served as the villain on several occasions to add drama and tension to the film. Though much it can be chalked up to creating friction for the sake of a good story, many echo the sentiments that Billy Mitchell is a take all kinda guy. I don't really want to make a commentary on the legitimacy or not of his scores, reading the article seems like a fair and balanced approach to a potential lifetime of if not cheating, then at least running the edge on fair play and sportsmanship. But regardless of the ultimate turn out, but this is definitely a major moment for the story of video games. I don't personally know Billy, and I'd love to have him in for GDEX sometime, but I am very curious about him as a person. There is no doubt that he changed the landscape of competitive gaming in a way that isn't really practiced today. The idea of long session persistence to be the best. Today's competitive e-sports require skill and determination, no doubt. But seeing some of these old school gamers push not only the boundaries of the games, but themselves, in what could be 24 hour plus endurance runs to get the best scores was a site to behold. 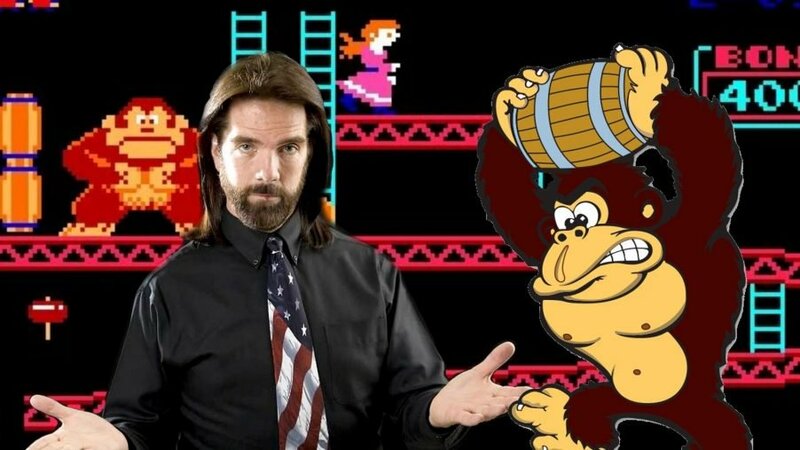 And a site that though is finding it's way into history, is one worthy of respect, and Billy Mitchell has his place as not only the Bad Boy of Arcades, but perhaps as the father of competitive gaming itself. It's strange to say that about a man who has no legitimate scores to his name.